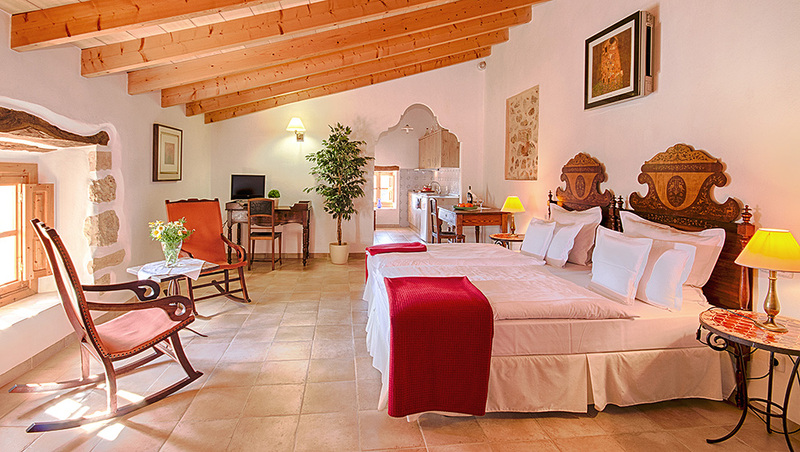 The two junior suites are even more spacious than the double rooms and furnished with carefully selected traditional Majorcan and partly antique furniture. Of course, every room is equipped with modern standards like air conditioning/heating, satellite TV, a small refrigerator, and a safe (available for an additional fee). Additionally, the junior suites include a fully equipped kitchenette and a stove with two hotplates as well as a dining table, where you can sit down to enjoy your freshly prepared meals. 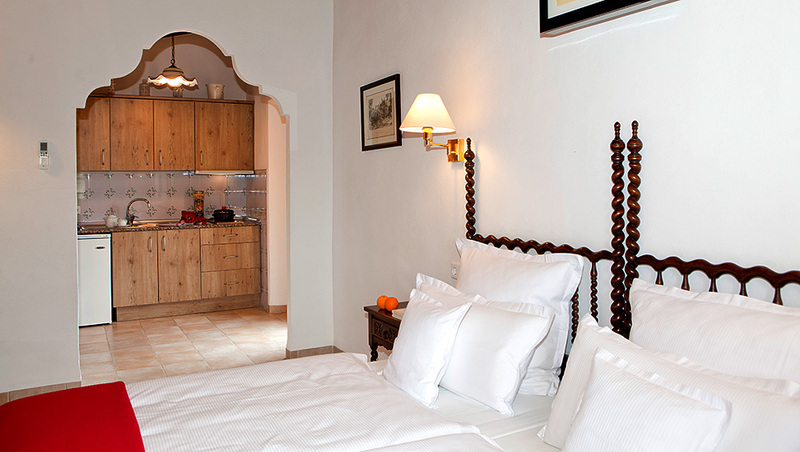 If you are travelling with children over 12, the studio can also be equipped with an extra bed. 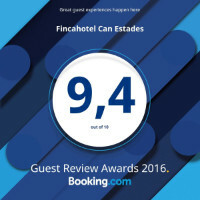 To maintain the special Majorcan feel, we kept the wonderful traditional Majorcan headboards and combined them with two comfortable, new single beds and special comfort mattresses, which are put together to form one double bed. Thanks to the small assortment of pillows, the cozy blankets, and our custom-made covers and sheets, you will wake up refreshed after a perfect night’s sleep. Just relax and enjoy the quiet and the pure sounds of nature! On request, cozy bathrobes and slippers will be provided. 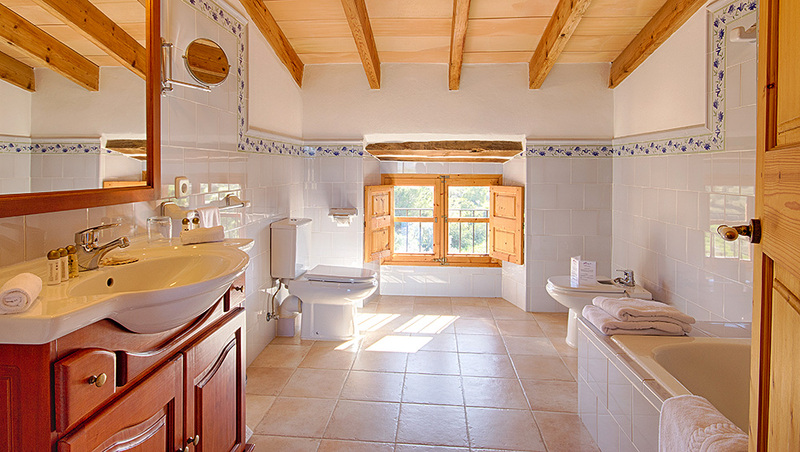 One of the junior suites has a balcony, which it shares with the Strawberry Room and from where you have a breathtaking view of the gorgeous surrounding landscape and the impressive Serra de Tramuntana. We are using our own and third party cookies to improve our services and show advertising related to your preferences by analysing your browsing habits. If you continue to browse, we assume that you accept their use. You can change the settings or get more information here.